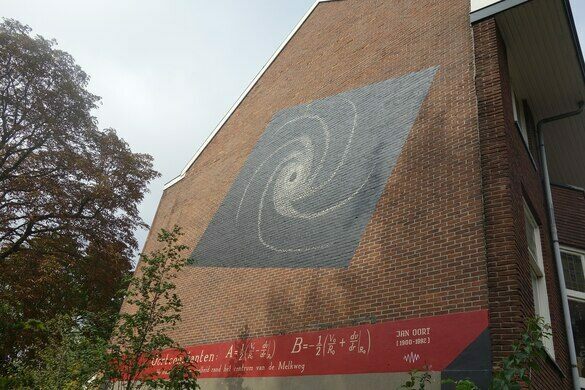 In a Dutch university city, science and math blend with art to show even the most mathematically challenged that equations, too, can be beautiful. A massive explosion that leveled hundreds of buildings in the city of Leiden is remembered by a waterside plaque. Leiden is often nicknamed the city of discoveries. This is because, besides its literary and cultural heritage, it has been home to renowned scientists like Jan Hendrik Oort and even Einstein! Many of the city’s buildings pay homage to the city’s history of intellectual prowess. 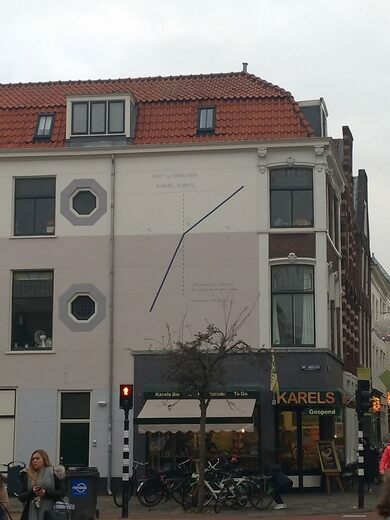 Now, some even showcase beautiful, artistic equations on their outer walls. 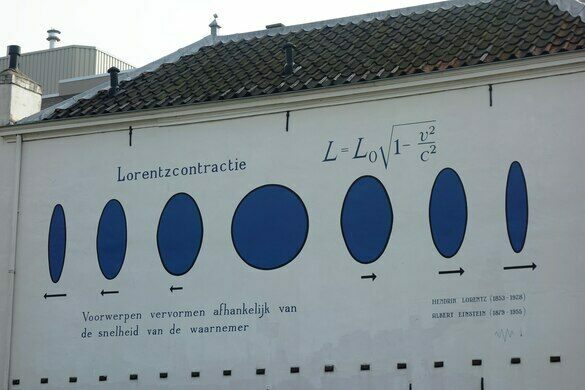 This initiative was started by physicists Sense Jan van der Molen and Ivo van Vulpen as a response to the 100+ wall poems that decorate the city. It’s their way of showing that equations, like poetry, have their own way of describing the world around us. There are currently six equations scattered throughout the city. While walking around, visitors can gaze upon the crisp lines and flowing swirls that show the beauty of math and science. 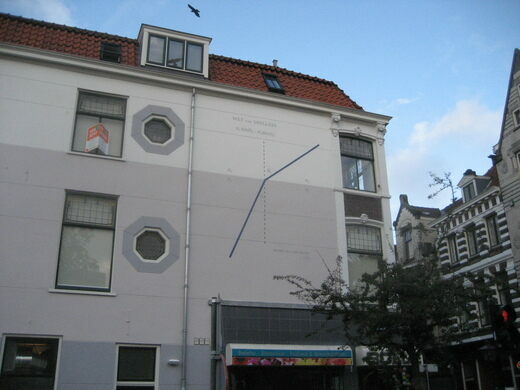 Unlike the wall poems that portray literary works from all over the world, the formulae focus only on scientists who worked in Leiden. 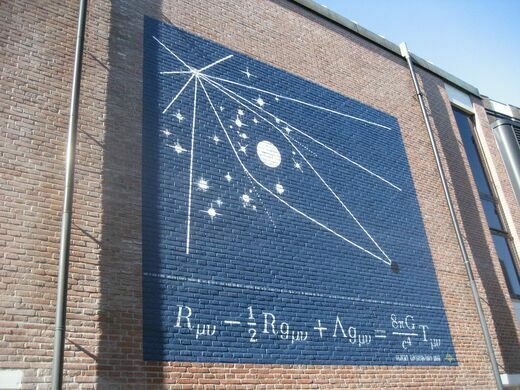 To help those who may not be fluent in physics or math, the wall paintings also contain simple, aesthetically pleasing representations of the phenomenon each equation describes. Electronspin on the Gerecht 13. One of the Leiden's oldest pubs is also the birthplace of the Heineken star.